I’ve been riding bicycles for a long time – since I was about four, I suppose, although there was a fairly long hiatus when I was in my twenties and early thirties. And, remarkably, in all that time, I’d never broken a spoke. Others I know seem to face this as a perennial problem. They break spokes if not daily, then quite often. I see people talking in revered tones about certain master wheelbuilders who can build ‘bombproof’ wheels that finally rid them of the scourge of the broken spoke. 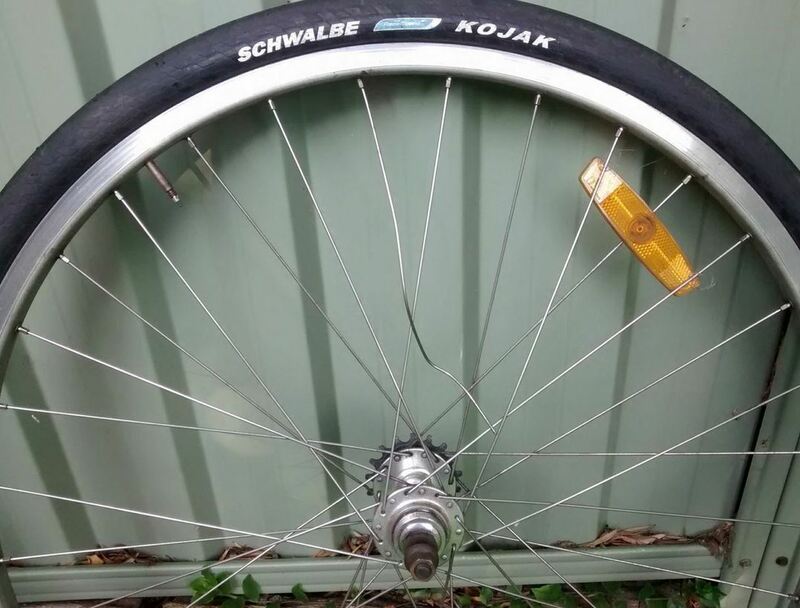 Well, I’ve been riding all sorts of cheap, mass-produced wheels for ever, and never had a spoke break. So when it happened on the way home yesterday, I initially didn’t know what had happened. There was a ping, and then some scraping, and then a ting ting sound as the wheel went round, and it got really hard to pedal. I assumed I’d got something jammed in the wheel, so it took me a while to realise what the problem was. So what should I do now? I had no idea. So I lashed the broken spoke to it’s neighbour with a piece of wire (that’s why it looks so bent; I was wedging it in place), released the brake calipers (the wheel had gone wonky and out of true, and it was thing rubbing on the brakes that was making it hard to pedal) and carried on my merry way. Hey ho. A first time for everything. Hopefully I won’t see another broken spoke for, oh, about thirty-five more years? When I was at high school, I took classes in both French and German languages. My grades in both had been patchy, until in my third year I was taught French by a lady called ‘Miss Smith’. She was an excellent teacher, and suddenly French became much easier for me (and ultimately became the subject for which I got the highest grade when graduating). So in my fourth year, I was thrilled to also score Miss Smith for German classes too. Weirdly, friends who had had her for German previously all seemed to hate her, but I ignored them in the lead up to the new academic year. And yet, she turned out to be a terrible German teacher. She shouldn’t have been; German was her primary subject, and she was a native German speaker. But therein lay the problem; she was so familiar with German she struggled to teach it; couldn’t understand why we were struggling and got impatient, shouting at us rather than helping us. 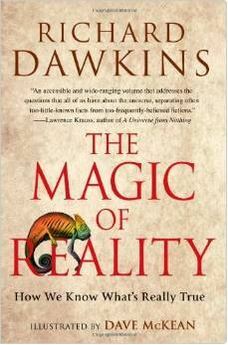 I got a Richard Dawkins book for Christmas this year – The Magic of Reality. Unlike his other books, which focus on his own field, biology, this is a science ‘primer’ aimed at a general audience – specifically a non-scientifically literate audience. So here we have one of the worlds’ foremost scientific minds trying to make his subject accessible to those who may have in the past struggled with science, whether in school or more generally. It is clearly a work of passion. Dawkins really wants everyone to know, understand and be inspired by science. In this book he covers not only his home turf, the evolution of life on earth, he also covers a range of other topics in geography, astronomy, physics and probability. he does this by asking a question (What is a rainbow?, Why to bad things happen?) and then using this as a springboard into the underlying science. He also starts each section not with the science, but with some examples of how such questions have been answered in the past, with various myths, legends and religious stories. These then form a comparison with the actual explanation, with Dawkins intent to reveal that the scientific answer has more interest, awe and ‘magic’ than any explanation cooked up by shamans or prophets. As a structure this works well, with Dawkins amply demonstrating that the wonder of the natural universe far exceeds those limiting and colourless tales. It’s an easy book to read, although the subject matter was all very familiar to me. However, at times the tone come across as rather condescending. Now, I’m not in the target audience for this book, so perhaps it’s just me. But there was a few things he keeps doing which really started to grate. The penultimate sentence in the last paragraph is laced with deliberate irony, because of course that is exactly what this book is. Dawkins is a slightly crusty Oxford don, and this book is aimed at a non-technical audience probably slightly disinterested in science. I’m not in that target audience, so perhaps not a fair judge of this book. But whilst it is customarily well written and accessible, I have a horrible feeling Dawkins has missed the mark slightly. He hasn’t fallen into the trap Miss Smith fell into, and shouted at us. But it’s notable that the chapters not on evolutionary biology are much easier to read and more interesting than those covering his own specialty. A comparison point is Bill Bryson’s 2004 book A Short History of Nearly Everything. This too aims to introduce a non-technical reader to the wonders of science, but I remember it to be a much more entertaining read. Tellingly, it’s written by a non-scientist; indeed someone who by his own admission initially knew nothing about the world or how it was made – it was going on that voyage of discovery that led to him writing the book. It’s a bit out of date now in some respects, but whilst ‘The Magic of Reality‘ has a lot to recommend it, I’d still recommend Bryson over it to anyone interested in broadening their scientific horizons. Well, I got out on my first leisure ride for 2015 quick smart, going out with a mate on the 1st January for a spin. Such rides are now rare events, since the little ones arrived. Gone are the days of spending Sunday morning pottering around Bondi or going out to Watson’s Bay. Still, my once-regular riding buddy was in town (for some reason he moved to Adelaide…) so I took the opportunity. It wasn’t a long ride, nor a fast one. This was in large part because my erstwhile riding buddy has gone all soft in the head since moving to SA, selling his fixie, more or less abandoning his road bike and spending all his time on some new-fangled thing I understand is called a ‘mountain bicycle’. So when he called up to see if I fancied a ride, he did say he would be on knobbly tyres, and ‘will be slow’. 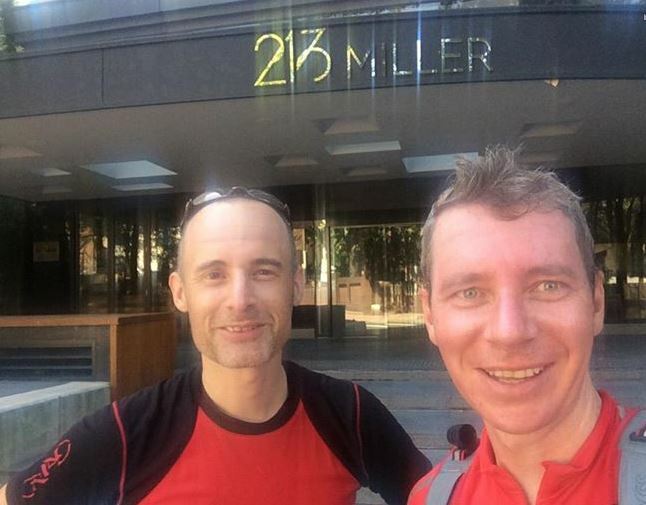 I was tempted with a rejoinder ‘so no change there then’, but I resisted, in part because my fitness is hardly up to much and I figured there was a good chance I’d be trailing behind, knobbly tyres or no. As it was we had a very cruisy ride, chatting as we went, taking in some of the parts of Sydney we remembered from our days commuting (we used to work together). Hence the new Iron Cove bridge (this is new, and really quite good), Gladesville Bridge (still terrible), Epping Rd SUP (ahh, the memories! ), North Sydney and SHB steps (seriously, they haven’t changed this yet? 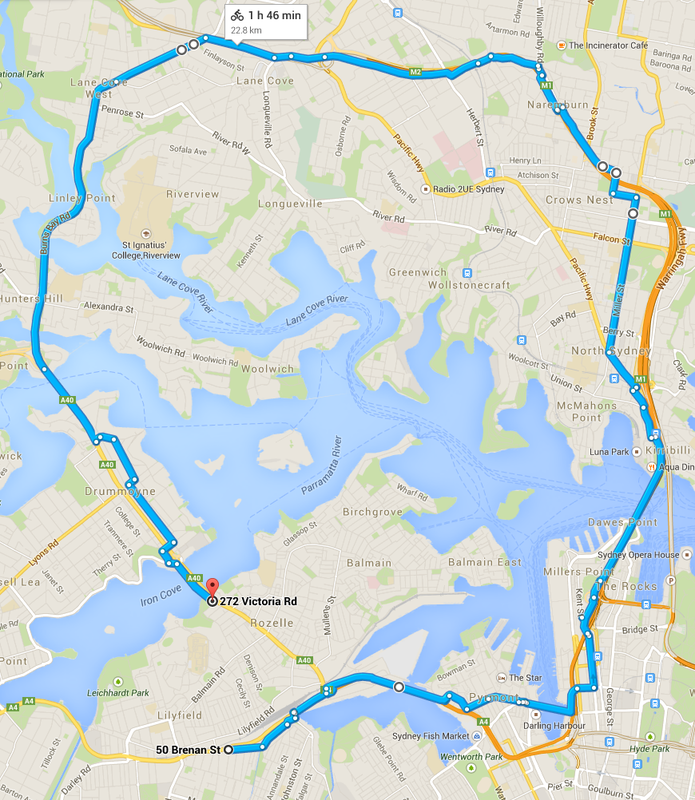 ), the SHB (the best commute ever), Pyrmont Bridge (much improved with no monorail – are there any cops today? ), finishing with a coffee in Pyrmont (absolutely terrible, but limited choice of places given the public holiday). Tim Winton is one of Australia’s Living Treasures. He is widely acclaimed as one of the world’s great literary writers, gifted with an ability to create fiction that is as readable and accessible as it is award-laden. So the story goes. However, I’m going to have to admit something now – this is the first Winton book that I actually finished. I have started two others (including his most popular book, ‘Cloudstreet‘), but somehow never finished them; although I have no doubt that this says more about my philistinism than Winton’s ability. What has happened in the past is that I have started them, and certainly enjoyed the evocative writing and characters (although I find the style a little heavy going sometimes). But then I put the book down for a few days, and when I pick it up again it just all goes incomprehensible. For some reason I can’t remember anything I have previously read; it all makes no sense and after half and hour or so of hopelessly flicking back and forth trying to get back into it, I give up. 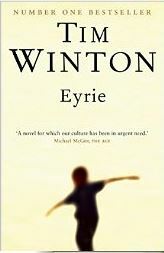 I picked up his latest, Eyrie, in the hope I would be third time lucky. I also vowed not to put it down for too long, in case the mysterious Winton amnesia might strike again. As it happened, I had little difficulty sustaining my momentum to the end of the novel – it’s oddly gripping, and had me turning the pages. It is the story of Tom Keely; a former high-flying environmental campaigner now unemployed, divorced and down on his luck, scraping along and living in the seedy Mirador apartments. He drinks, battles hangovers, takes too many pills and tries to be invisible. However, when a long-forgotten childhood acquaintance, Jemma Buck, moves into the apartment just down the hallway together with her strangely intense young grandson, he gets drawn into their world, battling to help them, help himself and keep his fractured life from disintegrating completely. Eyrie is a slightly strange and unsettling novel; we see the world through Tom’s eyes as he battles to make sense of the world around him, his hold on reality sometimes seeming to stretch thin. There are also flashes of black humour and beautifully observed characterisation. The ending is satisfactorily ambiguous, with many loose ends left floating.